Welcome to another edition of Frugal Decor Tuesday. I hope all my fellow Canadians had a wonderful Thanksgiving weekend! Ours was a chilly and white one as it snowed all weekend. 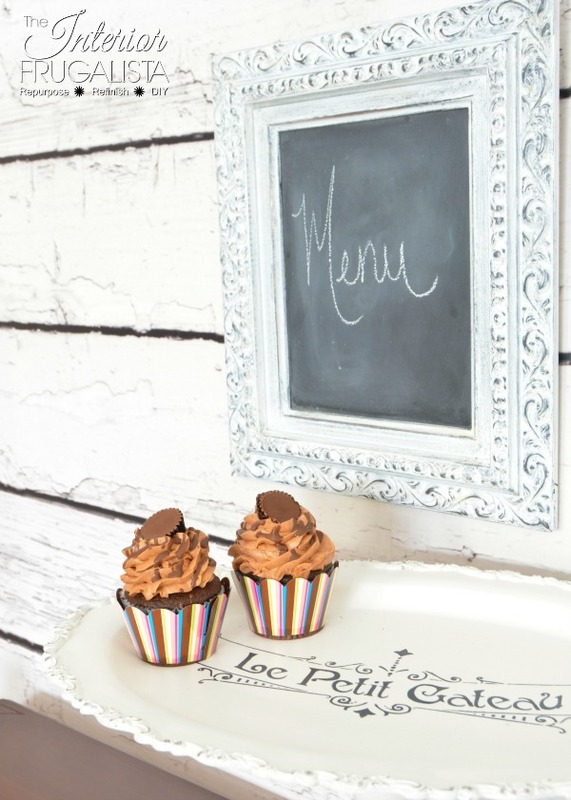 I didn't plan on sharing this project today because I've already published a few DIY Cake Stand posts. 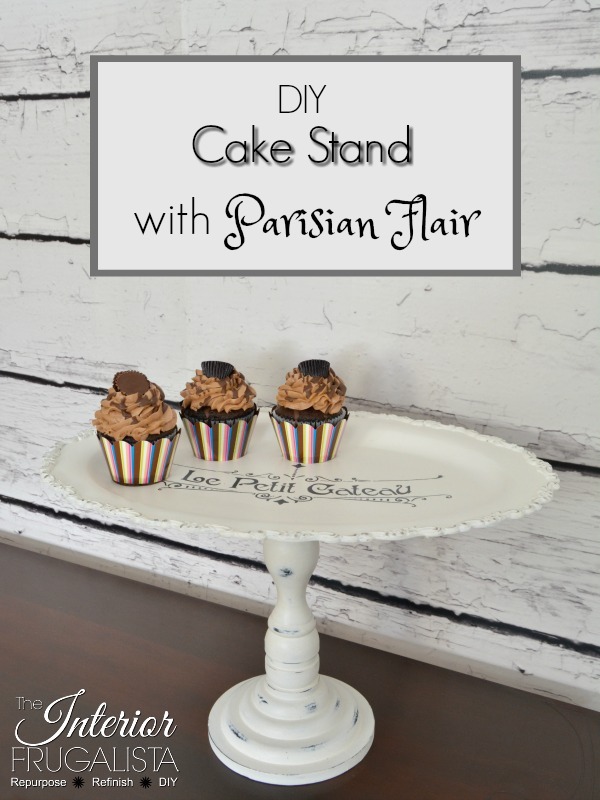 I was so thrilled with how this DIY Cake Stand With Parisian Flair turned out that I decided to go ahead and include it in the Frugal Decor Tuesday series. Also, I discovered a great tip for painting silver using chalk paint that I think is worth sharing. 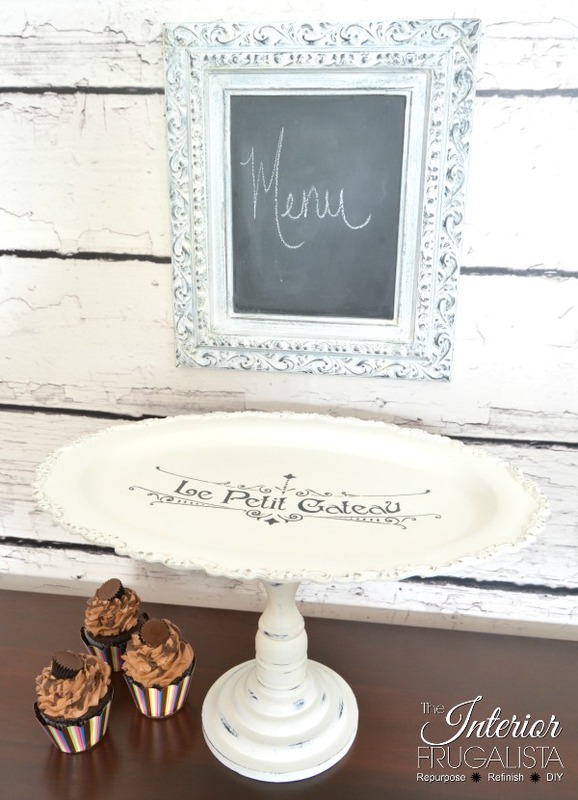 The thrift store finds I repurposed to make this cake stand, are a black wooden candlestick and an oval scalloped silver platter. Unfortunately, because I hadn't planned on sharing this project I didn't take before pictures. The last thing you want to do is paint over a valuable sterling silver platter so before opening that paint can, test it first with a magnet. If the magnet sticks, then it is not real silver. Sterling Silver IS NOT magnetic. Once I determined my silver platter was not sterling, I attached the wooden candlestick to the base of the tray using E6000 Glue and let it cure 72-hours (maximum bond strength). Tip: Prime the silver with spray paint first. I used Rust-oleum Ultra Coat spray paint in Primer White. 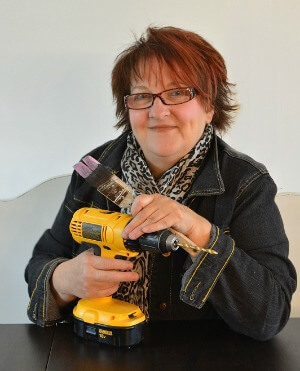 Once the spray paint was dry I brushed two thin coats of chalk paint in a warm white color. Using 220 grit sandpaper I distressed the high points along the scalloped edge to reveal some of the silver (as pictured above). With that beautiful scalloped edge, I added some Parisian flair using part of a French stencil that I had on hand using acrylic craft paint in a charcoal color. Once the charcoal gray paint was dry I protected the entire cake stand with a clear coat in a matte finish. 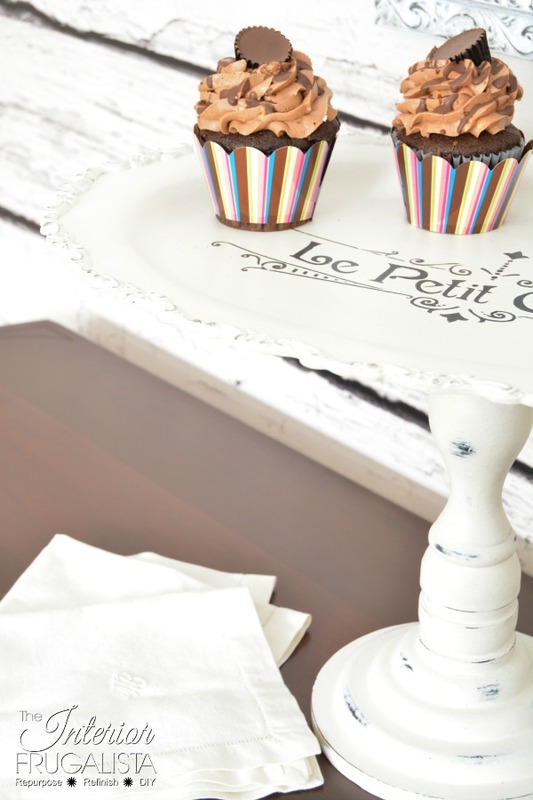 I think the stencil just added that extra charm to this DIY Cake Stand With Parisian Flair. While writing this post I am enjoying a fresh cup of strong coffee and one of those delicious chocolate cupcakes. 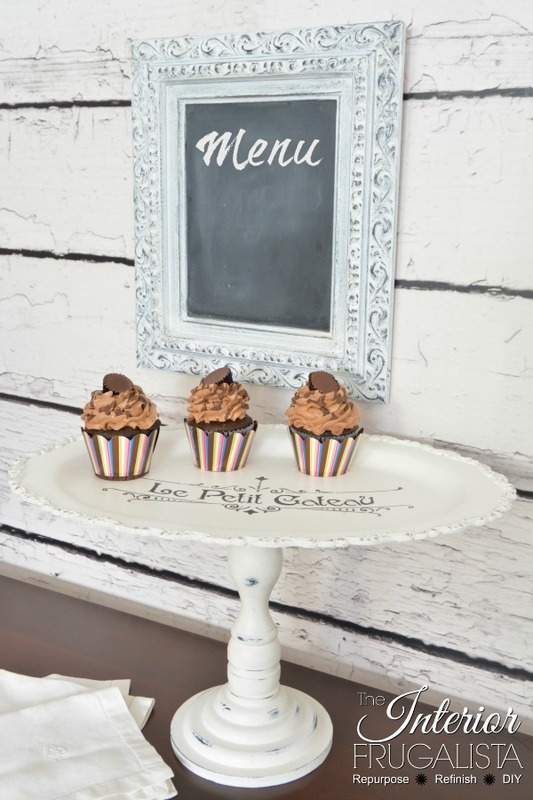 If you missed any of my other DIY Cake Stand posts you can catch them here at Easy DIY 2-Tiered Cake Stands, Repurposed Silver Tray Cake Stands, and a special Wedding Cake/Cupcake Stand for our daughter's wedding. I hope you found my tips helpful for testing and painting silver platters and trays. 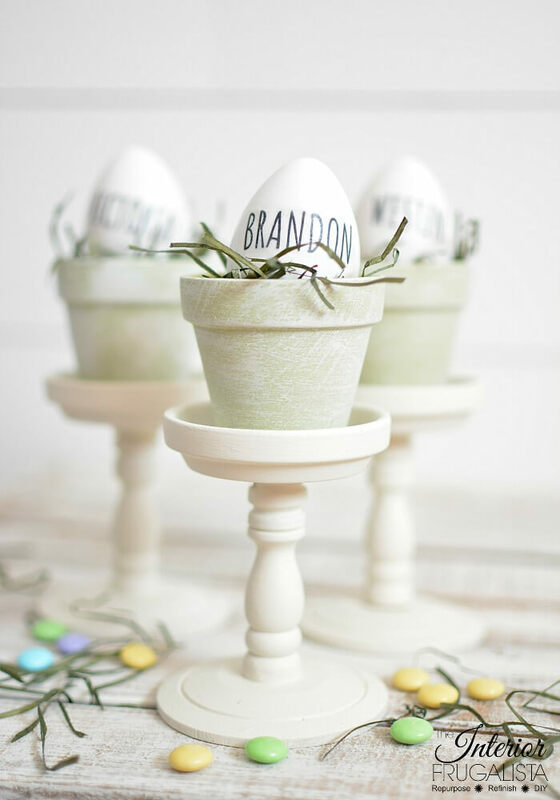 With the upcoming holiday season, these DIY Cake stands add so much charm to a buffet table. 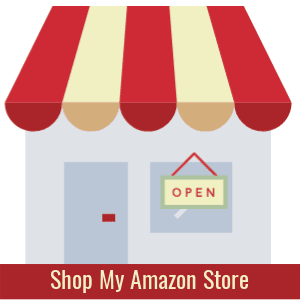 * I've included some affiliate links so you can easily find the products I used or recommend to complete this project. See my full Disclosure Policy.